Are you interested in helping others? Meeting new people? As a Stow Lion, you will use your time and talents to make an impact locally and around the world. Through experiences as a Lion, you will acquire new skills, meet challenges head-on, cultivate lasting friendships, and discover more about yourself. Would you rather just lend a helping hand when needed? Lion’s membership offers extensive opportunities for the kind of volunteer experience you desire. You have the option to work on projects that interest you and to undertake leadership roles of your choice. 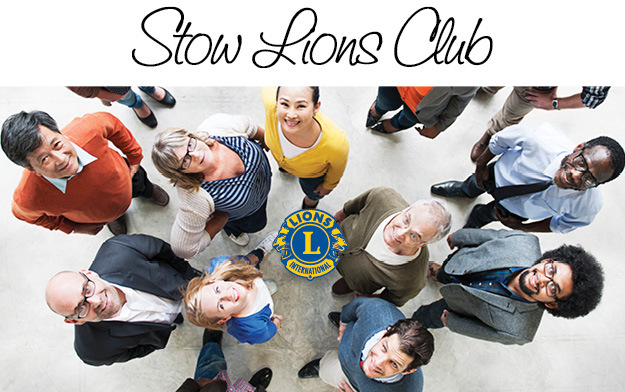 Lions are groups of service-minded men and women who are interested in improving their communities. To be a Lion is to be an active volunteer, a member of a respected international organization, a leader in the community and a friend to people in need. The 1.35 million members that serve in over 45,000 clubs from over 200 countries make Lions Clubs International the world’s largest service club organization. Download a copy of our Membership PDF to see the full scope of what we do. Enjoy a nice dinner and a great presentation on a variety of interesting topics. Its a relaxed and pressure free environment to learn about what we do and have a good time meeting other people in the community. Our monthly dinner meetings are held the 4th Wednesday of every month (except July and August) at Emma's Cafe, 117 Great Road, Stow MA. Social time starts at 7:00 PM, with dinner starting at 7:30 PM and lasting until approximately 9:00 PM.